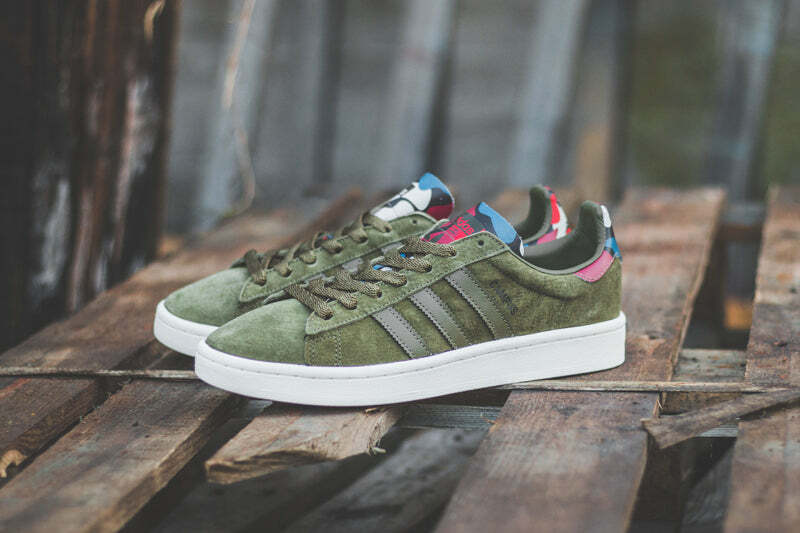 adidas Originals heads back to the ’80s footwear archives to seek out new design inspirations for the future. 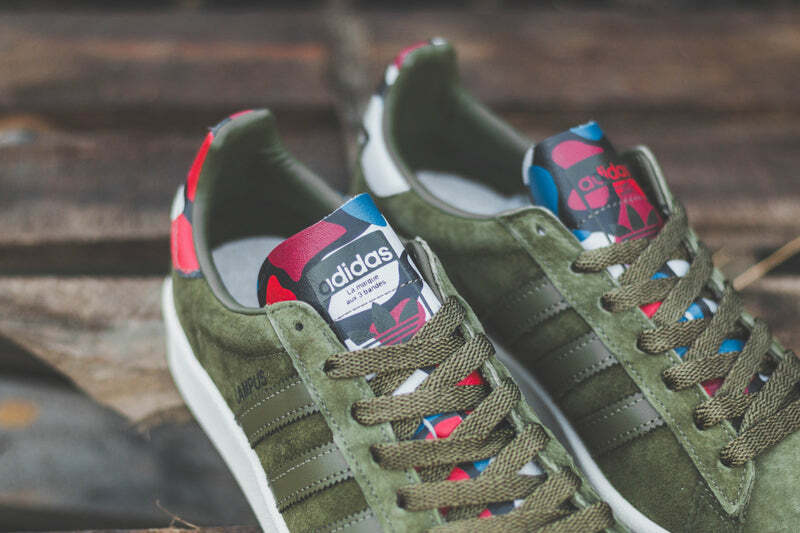 These trainers are based on the unforgettable design of adidas Campus shoes. 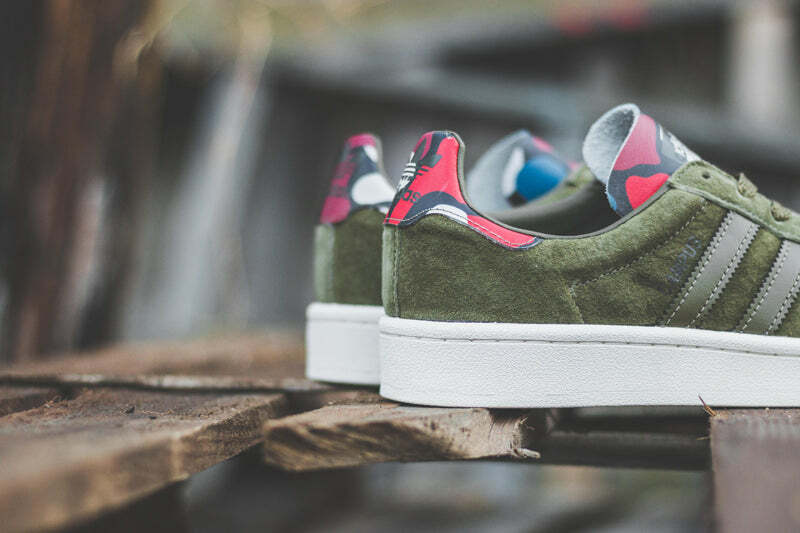 A camouflage print appears discretely on the tongue and heel tab and refreshes the look with a modern twist. 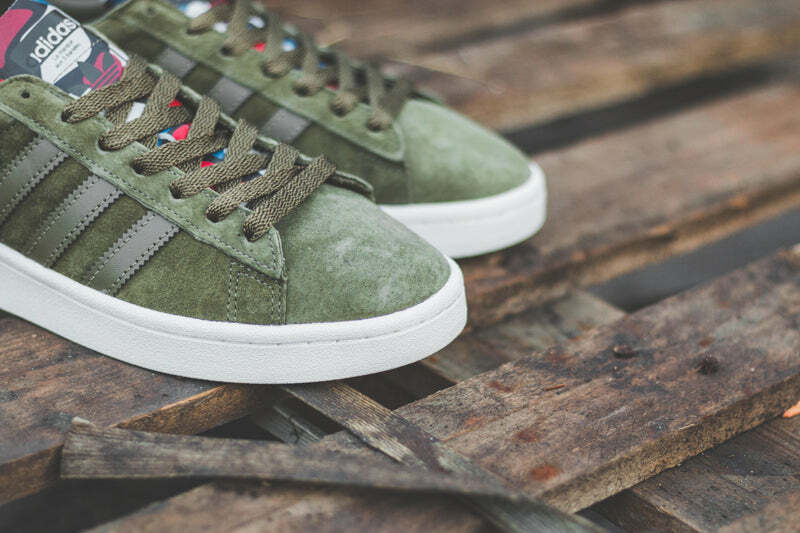 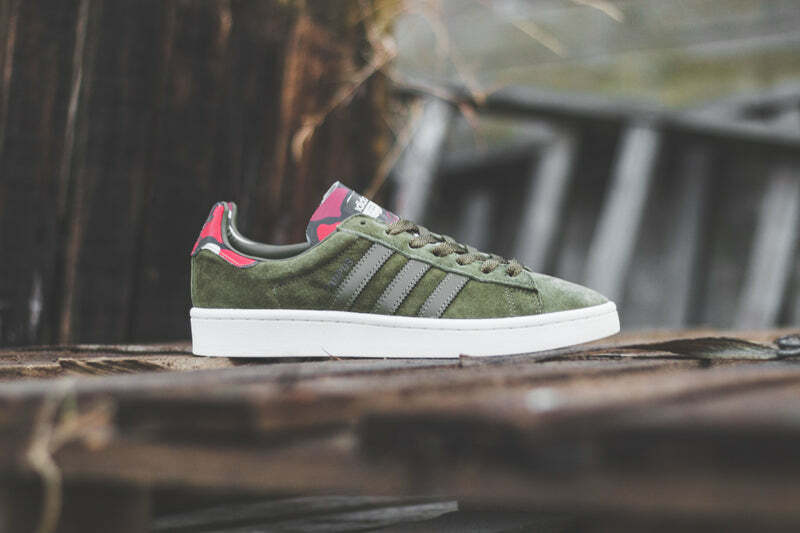 The suede upper comes in an Olive colour with matching colour leather three stripes. 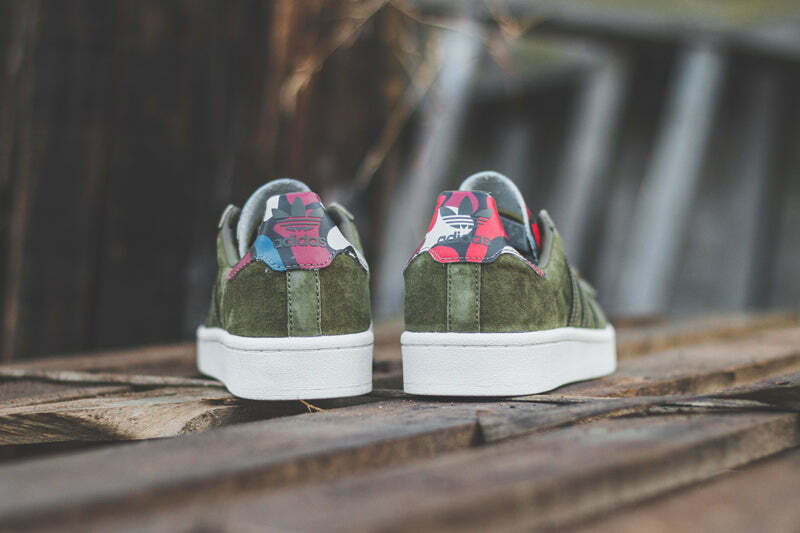 Refined cut lines at the collar and heel complete this streetwear must-have.